Reggae Music singer Chronixx is ready for the music World. Chronixx was the 'stage' name his friends bestowed on him, replacing the name 'Little Chronicle' he was given as the 'junior' to his father, the artist Chronicle. A little star amongst his peers, he had shown a love for music and song writing from an early age. He was born October 10, 1992 and was named Jamar Rolando McNaughton. His father, a musician, recognised his talents and nurtured him in an environment in which he could grow into whatever area of music he choose. Always accompanying him to the studio, Jamar grew up around the likes of Burro Banton, Norris Man and the legendary Gregory Isaacs. With a big smile and an engaging personality, he confidently set out to make his mark in music, by writing his first song 'Rice Grain' by the age of five and going on to be choir director and worship leader at 11. Coached by Danny Browne, he recorded his first song with him in 2003. Always displaying his versatility, Jamar, as a young man at St. Catherine High School, harmonised for gospel artistes such as Jermaine Edwards and reggae artiste Lutan Fyah. At 14 years, he started producing and 'building riddims' for artistes such as Konshens and Munga Honorable and composing riddims such as the 'Freezer Riddim' for Icebox Records and voicing artistes such as, Popcaan for Maverick Records. While focusing on academics, with a special love for Visual Arts, Chronixx knew that his inner voice was coaxing him to let his own voice be heard. After his brother's death in 2009, Chronixx became more inspired to 'push out' and as fate would have it, in that same year, met some 'brothers' who have undoubtedly impacted on the promising artist he is today. The synergy he found with Romaine 'Teflon' Arnett of ZincFence Recordz gave birth to the creation of a singer, stepping out militantly with a unique voice and armed with lyrics and an accompanying musical sound, set to capture his place on the reggae music stage. In 2010, as if on a mission, Alty 'J.O.E' Nunes impacted on the lives of not only his brothers, Aijah & Jahnoi, but on Chronixx as well. They started working as a team and after Joe's passing in February 2011, Chronixx, in honour of the Jah Ova Evil legacy, took his career to another level. Instead of going on to Edna Manley College as planned, he, along with other members of the Jah Ova Evil family, released singles such as Behind Curtain, African Heritage, Wall Street and Warrior. 25 Facts About Chronixx You Might Not have Known. 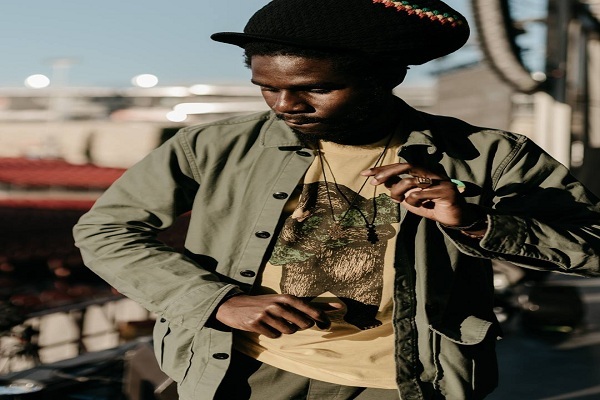 Reggase Sensation Chronixx Calls Barack Obama A Waste Man, Bash Government!